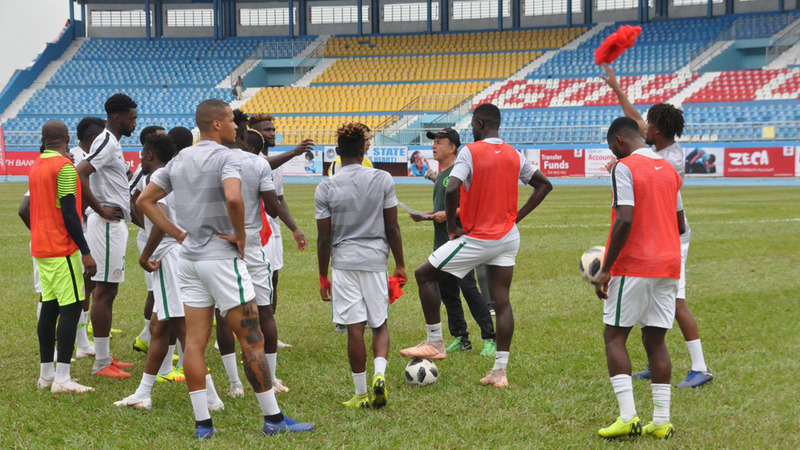 The Super Eagles of Nigeria, three-time African champions, is to take on the Tauranga Lions of Senegal in a friendly game ahead of the 2019 Africa Cup of Nations in Egypt, as confirmed by the Senegalese Football Association President, Augustin Senghor. According to a report in Afrik-foot. com, it is stated that Senghor and President of Nigeria Football Federation, Amaju Melvin Pinnick, met after the draw to discuss modalities concerning the friendly fixture and the former is keen for the game to go ahead. Head coach of the Tauranga Lions, Aliou Cisse and Rohr, were also present at the meeting. Vanguard also reports that the two coaches are expected to meet later to decide on the venue of the game and other important details. The Super Eagles will face Guinea, Madagascar and Burundi in Group B of the tournament.